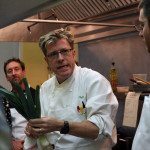 Chef Eric Jacques Crowley is a seasoned, professional chef and the founder, owner and chef instructor at his dynamic cooking school, Chef Eric’s Culinary Classroom, where he has shaped the careers of many professional chefs. Chef Eric has hosted television shows at the Culinary Classroom including NBC’s Channel 4 Reporters for a Cooking Class Session, Good Day LA, Channel 11’s Morning Show, as they joined him live to see the Children’s Summer Cooking Camps in action. E! 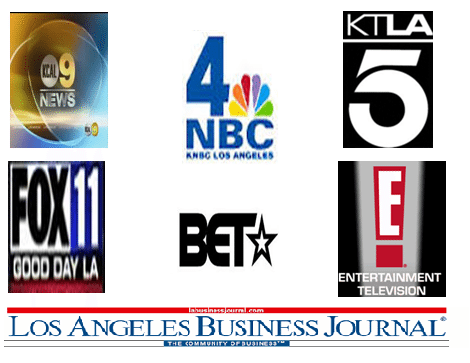 Entertainment, Your LA on Channel 4 and Cosmo Times as they showcased his Couples Romantic/Date Night Cooking Classes, TruTV on Upscale with Prentice Penny showcasing his cooking style, and the Associated Press as they highlighted our Children’s Summer Culinary Camps. He has visited Television studios including KCAL 9 News for a Holiday Entertaining cooking segment, KTLA 5 Newsfor a Super Bowl cooking segment, Mother’s Day Brunch cooking segment, and Tailgating Grilling cooking segment featuring Chef Eric’s Savory Seasonings – Sizzle and Smooth Spice Blends, and Hallmark’s Channel’s Home and Family Morning Show teaching Candace Cameron how to make Sushi! 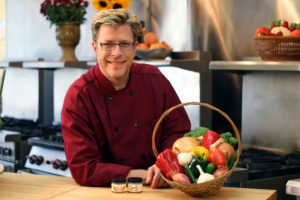 He has been a Guest Chef on CitiCable 3’s Community Cooking Television in Torrance. He and the Classroom have been featured on SoCal.com and LA’s The Place – Los Angeles Magazine at lastheplace.com. 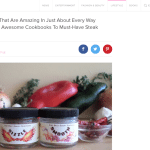 He has been written up in the Los Angeles Business Journal, The Orange County Register, the Beverly Press News, Valley Scene Magazine, The Daily News, Voyage LA Magazine, and many other publications and Cooking Blogs sharing his love of cooking and many recipes. I just want to say how much I have enjoyed this program, how much I have learned! My confidence in the kitchen has grown and the entire experience has deepened my love for cooking. Who says you can’t teach old dogs new tricks! Thanks to you both.